This morning promised rain and cool temperatures, so as usual on such mornings I thought bridge, knitting, indoor shuffleboard sounded like a better multi-sport event than swim, bike, run. 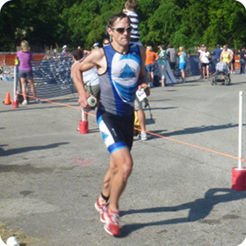 But the Frank Maples triathlon is a local tradition here in Scottsboro, and I knew I would never live it down with my local training buddies if I wimped out due to a little bad weather. Besides, this was my first time actually doing the Frank Maples. So I got up and went somewhat unenthusiastically through my pre-race preparations: coffee, whatever is on the counter for breakfast (this morning it was half a blueberry muffin), find my gear scattered through the house. My 4 year old daughter woke up and distracted me, so I almost left without my helmet. I also made a rookie mistake. Because I was now running late, I didn't ride my race bike over to the Rec-com like I had originally planned. At no point during the morning did I actually get on the bike to make sure everything was working correctly. Never a good move. At the transition site, I met up with fellow Fleet Feet Tri Teamer Melissa Johnson. She was cute and perky as always, so I decided to at least act a little happier. This was made easier by the fact that the rain was holding off so it was only cloudly and a little cold. Melissa and I wandered through transition staring at men's chests to make sure there weren't any Fleet Feet Tri team members we were missing for a "group" photo. We apologize to all of the men we freaked out by our behavior. We were not checking out your pectorals, we promise. So off we go for a brisk 2 mile run, which is that difficult distance somewhere between a sprint and a middle-distance race. I went out too fast, but I was pretty happy with my time: around 14 minutes. I almost knocked down one of my male training buddies passing him into transition (sorry Jason) but I get a little competitive at times. Y'all may have noticed. Anyway, quick transition and onto the bike and....my left clip won't clip in. I spend the first mile unsuccesfully trying to dislodge whatever is keeping it from clippling in out of the cleat (while still moving), but I finally give up and figure I will lose too much time if I stop and try to fix it. My training buddy told me he thought I was having seizures that first mile. I guess that's what I get for almost knocking him down in transition. Anyway, after the run I know I'm in first place for the women so I am NOT stopping. I knew the course (home course advantage) and knew it was mostly flat without many turns so I could deal without being clipped in on one side. It was annoying as hell, though. Pedaling with only one foot clipped in is a great training exercise to strengthen your legs for cycling, but I don't recommend it during a race! Anyway, back to transition after 14+ miles on the bike and a quick sprint to the pool for 200 yards. I apologize to the guy I swam over on the 6th lap, I was trying to pass on the right but he apparently thought I was going to pass left. Ooops. I was 8th overall and first woman, so it was a good hometown showing. Melissa Johnson did awesome and placed 2nd in her age group, looking sweet and perky the entire time. Other folks known to team members include George Dewitt who totally rocked it and won his age group, Tony Osani won his age group, Gina DeMuro got second in her age group, Marien Amerigo won her age group, and my Scottsboro training buddies all took home some hardware. 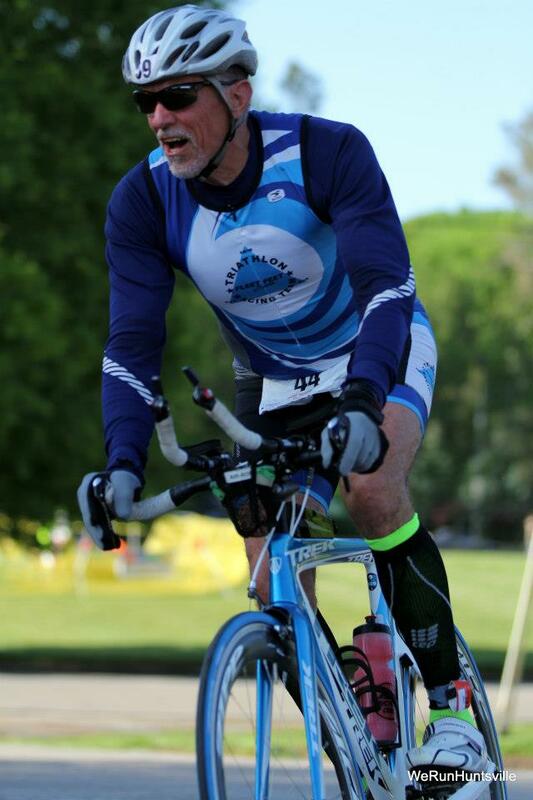 It was a fun morning for a sprint tri and now this blog entry is longer than the race! Happy training, see you all next week at Lake Guntersville! 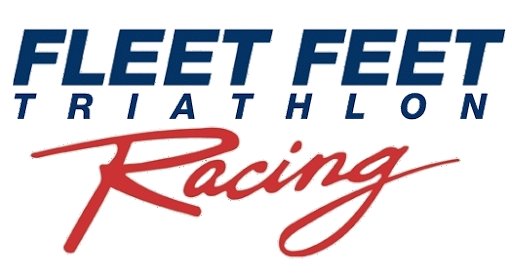 The season is officially in full swing and the Fleet Feet Huntsville Triathlon Team was in action at the Team Rocket Tri Heel and Crank Duathlon in Mooresville, Alabama this weekend. I have a passion for life. I enjoy being busy and having a hand in a lot of things. I would describe myself as a Jack-of-all-Trades and a Master-of-None. Others might describe me as a Jack-of-Something-Else, but that is a story for another time. Because triathlon is really the art of striving for balance while attempting to develop skills in three distinct sports it has had a direct appeal for me. I often say that triathlon rewards mediocrity because it rewards those that can be good at all three sports. I want to race all of the local races in the Alabama Championship Series. I am the defending champion from the 35-39 age group and had a blast last year competing in all of the awesome events the local area has to offer. I know that over time as more people find out about the Series it will become more competitive. I have never raced a Sprint distance triathlon and as the series has expanded there are several of these races on the calendar. This will be EPIC! Next season I want to return to the Long-Course distance. I had my first experience with the 140.6 distance at Beach-to-Battleship last year. It was an awesome experience, but the training is very demanding. My goal is to work on my speed, strength and core this season, but start gearing up for the big dance in the fall/winter by competing in my first road marathon at Rocket City Marathon in December. It should complement nicely with the plans for my Ironman in summer/fall of 2014.